Wounded, presumed killed in action. Michael was born in Longford 6 May 1895. He had a number of brothers and sisters, including John, Rose Anne, James and Francis as well as Rose, Maggie and Kate. 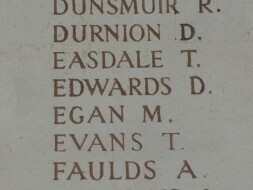 Private Egan enlisted in Edinburgh, Scotland, when he was 18 years and 171 days on the 17th November 1913, although he appears to have temporarily signed with the Royal Scots. Prior to enlistment, Michael was working as a ship yard labourer. He was deployed to France in March 1915 and served there until his death in May. Michael was initially recorded as being missing, but his death was sadly confirmed by Private Sheils, also of the Argyll & Sutherland Highlanders in 1916. 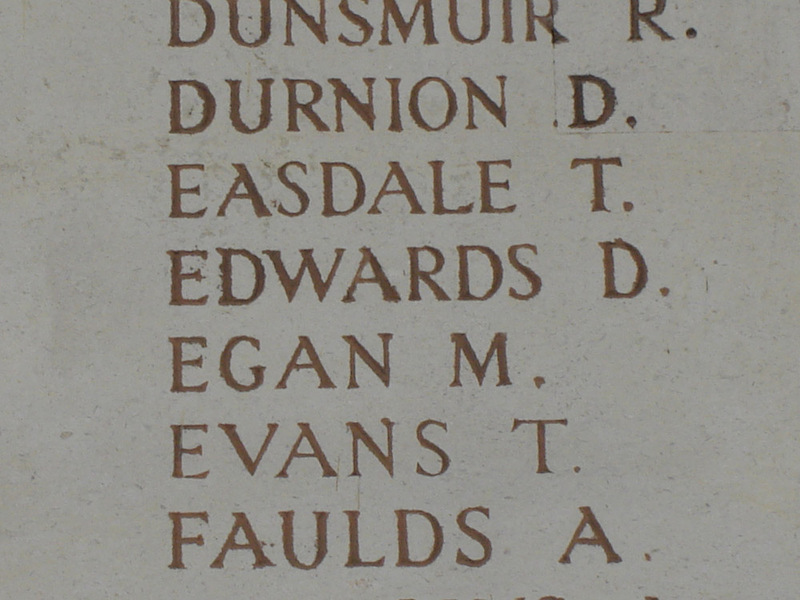 Michael was a brother of John Egan, who also served in the Great War. Son of Michael and Mary Egan. Private Egan's record survives. It is recorded under a previous regimental number, 1831, and his actual number appears to have been incorrectly recorded as 6891. However, the first page of his attestment form states 6831, although the surrounding area is subject to some damage.